Product information "Ring binder LEFT-HANDER of brown leather"
Take a look at the attractive leather ring folder LEFT-HANDER of grassland leather in retro style: thanks to this fantastic accessory, your writing items and personal belongings will find a common place! An eye-catcher especially designed for left-handers! 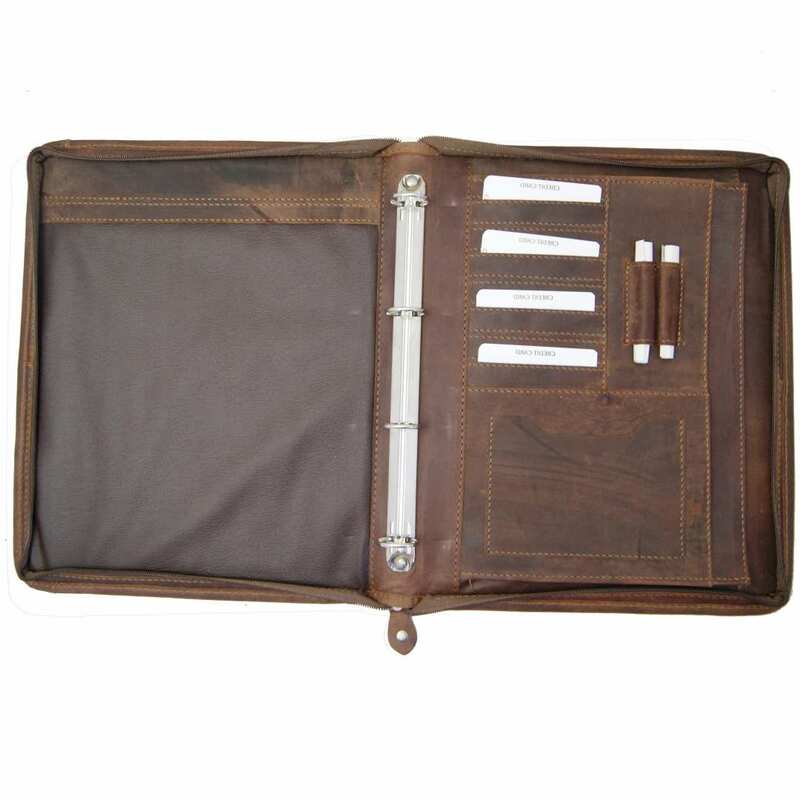 The ring folder of brown grassland leather fulfills the wishes of most left handed people: the compartment for the notepad is situated on the left side of the folder! Just open your case and begin writing without finding any obstacles. Furthermore, this leather ring portfolio provides lots of space for all files you need at a meeting or a conference, for instance. Thanks to its exclusive appearance, the ring folder of grassland leather is a true eye-catcher! Keep all important items well organised and ready to hand in the elegant ring folder of grassland leather. Use the big inner compartment to keep your tablet PC safe and well protected and the practical organizer to order cards, stationery, a smartphone and a calculator, for example. 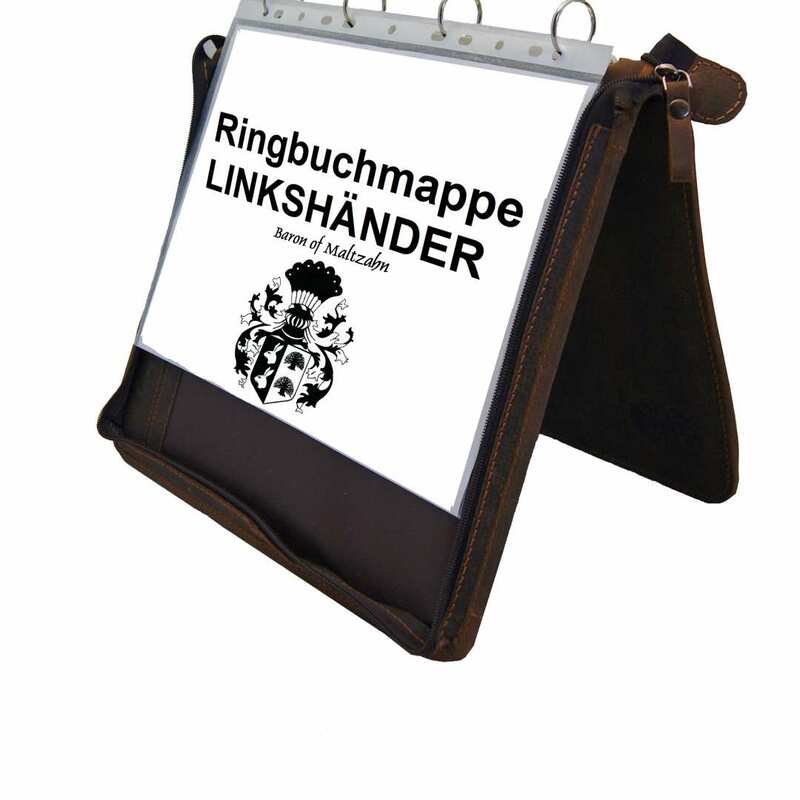 The four-ring-mechanism is perfect to attach a notepad to the binder, so that nothing gets lost. 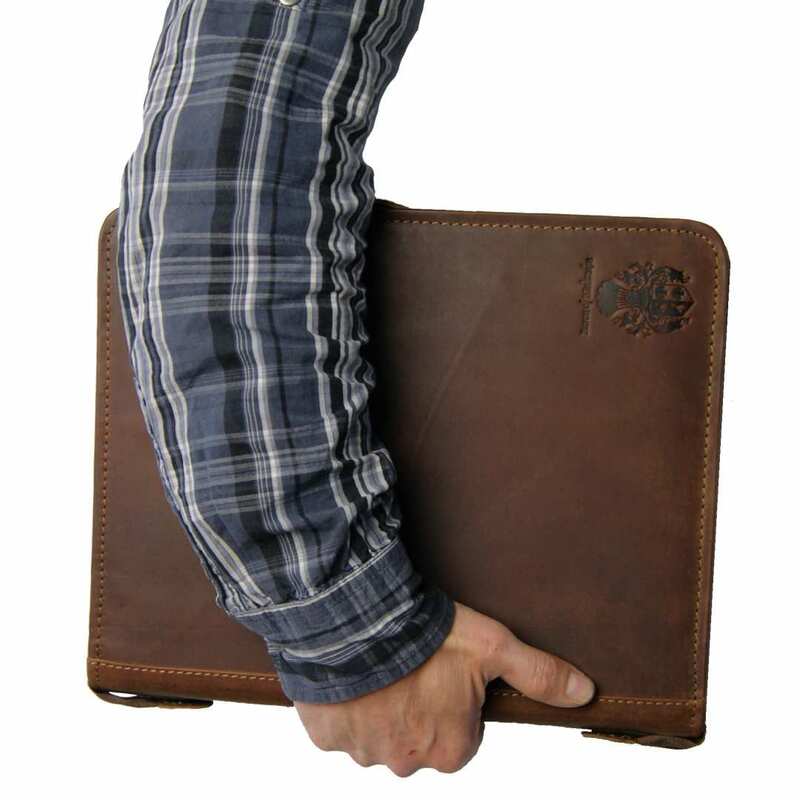 Your ring binder made of grassland leather convinces with its excellent processing and is made to last forever. The model has a total size of 13.4 x 11 x 1.6 in (34x28x4 cm). It consists of thick grassland leather that has undergone a very special procedure in order to give it the fantastic appearance it shows. On the side you will find a functional and elegant smooth-running zipper of high grade metal. This leather folder is a unique design consisting of high quality materials. The folder will get even more personal and individual over time, due to the slight colour changes or abrasions that will appear with the use. Whether for you or as a gift for a special person: the ring folder of grassland leather is the perfect article to own! *Please note that our ring binders follow the European Union standards; they are provided with FOUR rings. 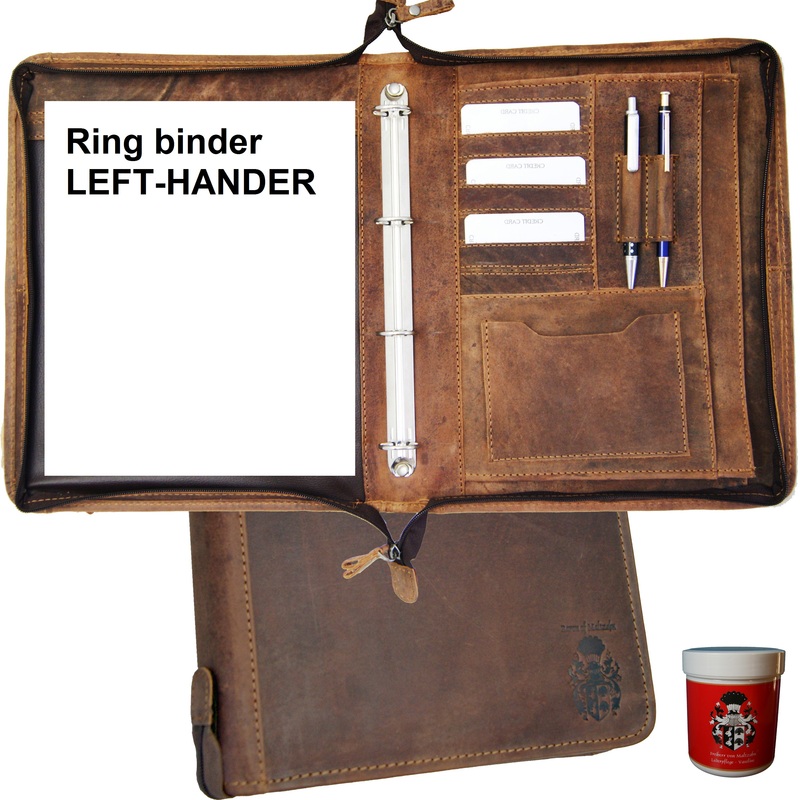 Reviews for "Ring binder LEFT-HANDER of brown leather"